I know it's Tuesday but I hope you all had a wonderful weekend and start to your week yesterday! This was our first free weekend this fall which was very refreshing! It allowed us to have a real date night and we also got some things started around the house that have been put on hold for awhile. 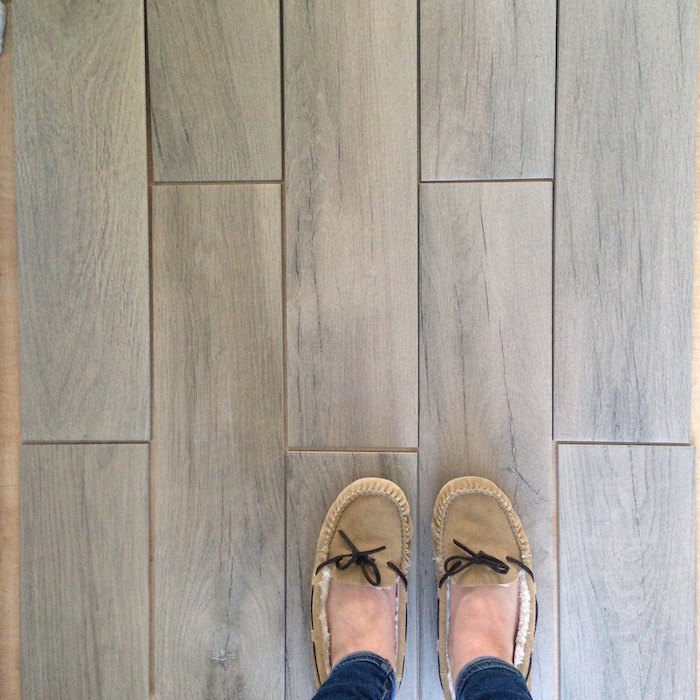 The most exciting thing that we did was that we finally picked out the tile for our entryway makeover!! This was my first experience tile shopping and I hope it's the last one for awhile. Just like anything else in design, the color of something looks a lot different in store than it does in your house so we had to do a lot of buying of tile, bringing home to try out, returning of tile, and repeat. By round 4 I was pretty exhausted and was ready to just make a decision, despite maybe not loving it. Luckily on our last attempt to find some tile at Menards, we came across a tile that ended up looking great in our foyer. Originally I did not want the tile to have the faux wood plank look, but I loved how subtle it was in the tile that we chose. This baby is getting installed this upcoming Sunday by my husband and his father while I'm away in Phoenix for work, so I can't wait to come home and see it, as well as, put a check mark next to this item on the house to-do list. Happy Tuesday! Last week I finally got back to blogging after a month hiatus and I told you all that I would be spending this week updating you on all of the projects that I have finished recently but never gotten around to blogging, and today is no exception seeing as I finished this project months ago (oops!). 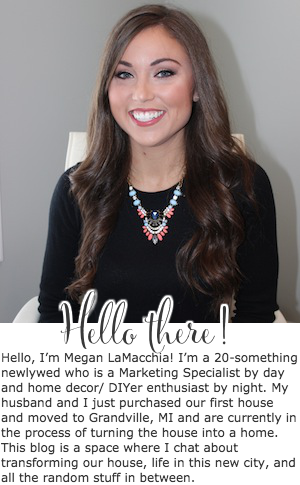 If you have been following my blog for awhile then you know that I have been working on my guest bedroom makeover for some time now, and if you are new, then welcome! 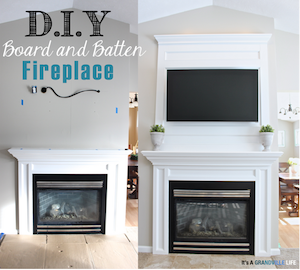 I wanted the guest bedroom to be a space that was not only comfortable for guests, but also be a place that I could try out different DIY projects that I didn't feel comfortable doing in other rooms, including painting laminate furniture. I was very hesitant to paint laminate because, well, it isn't real wood and therefore presents its own problems. 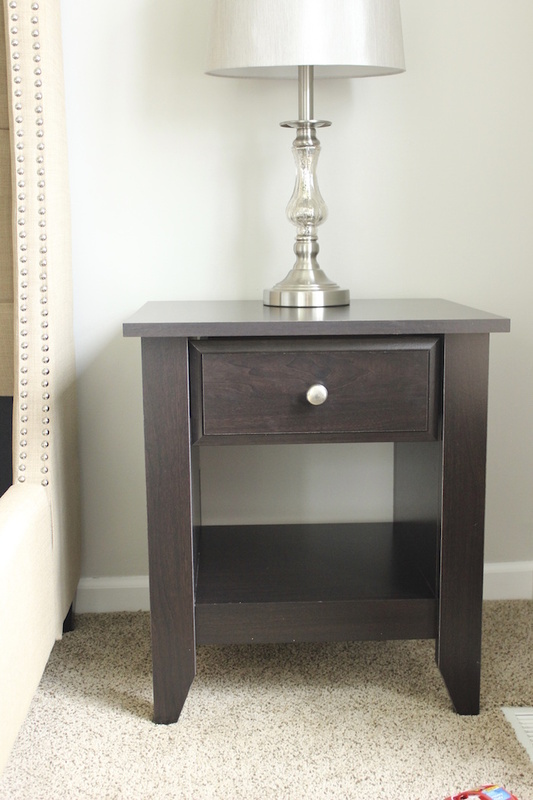 I no longer was using the nightstands in the master bedroom, however, so I thought it was a great opportunity to try out this project in the guest bedroom. After all, they were nightstands that my husband and I bought during our college years for $45 each, so I thought there wasn't too much too loose if they turned out bad! Before I show you the after photo, I thought I would remind you what the expresso laminate looked like before! Happy Friday, everyone! If you follow me on Instagram, then you might of seen some sneak peaks of my new porch decor, but I thought it was about time to share it with you all on my blog! Last fall is when we moved into our house so our porch decor was very minimal and was limited to one single yellow mum. It was underwhelming, to say the least, so this year I wanted it to be really festive. 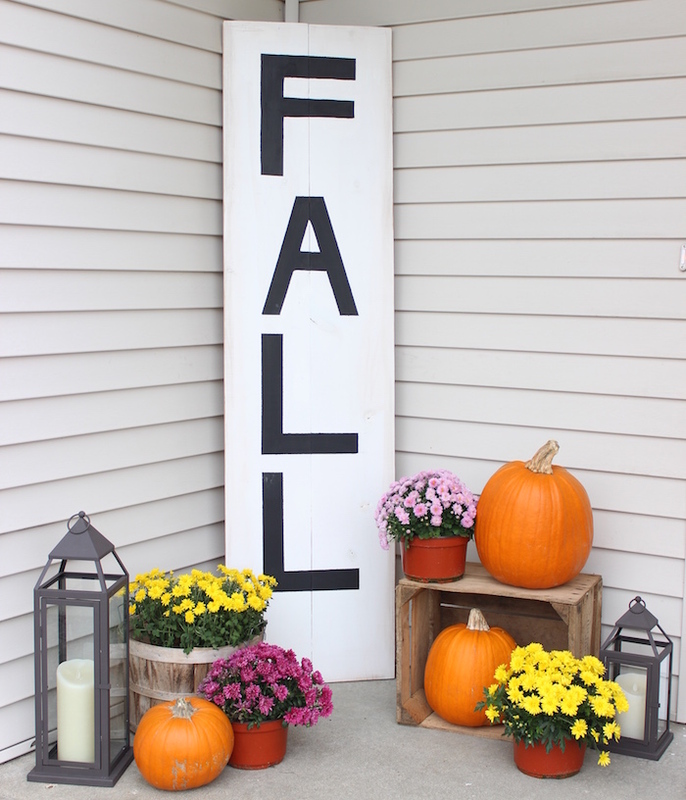 In August, with fall fast approaching, I decided to make a 6 ft. FALL sign, and I love how it turned out! Happy Tuesday! 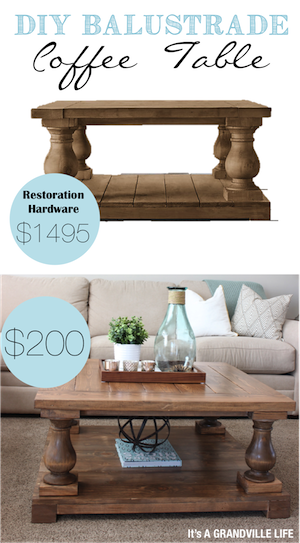 A few weeks ago I blogged about a design board for our front entryway. Within the blogpost, I had mentioned how I wanted to create a DIY industrial shelf for the space and today I'm sharing details all about it. Happy Monday, everyone and happy Fall! I seriously can't believe it's already mid-October! This is one of my favorite months, thanks to the beautiful weather here in Michigan and pumpkin everything so I'm definitely not complaining. It's been awhile since I've posted a blog post so I thought that I would jump on here and give you all a little update about life and our house. Simply put, life has been a little busy lately here in Grandville, but I wouldn't have it any other way. We have lived in our house for a little over a year now , and it feels like we are finally settled in and really start building roots in the area. The first 8 months or so of living here was spent working non-stop on projects, and since Paul and I both work in the house we were constantly in the house. Now, we like to spend a lot of free time being anywhere but our house and this past few weeks hasn't been an exception. Three weeks ago, we went on our first vacation since our honeymoon last June so it was very much needed. Paul's best friend got married in Albuquerque so we made a week trip out of it and went to Las Vegas, Arizona and New Mexico. Within the trip we crossed off several items on the bucket list including visiting the Grand Canyon, seeing the Hoover Dam, visiting Sedona and going on a hot air ballon making it a very productive and exciting vacation. View from flight as we flew over Chicago, thought it was pretty cool!